Before I start my post, I’d also like to invite you to the next Biznology webinar on May 1 where Mike Moran is going to interview me about keyword knowledge graphs. Editor’s note: This link has been updated to go to the video. 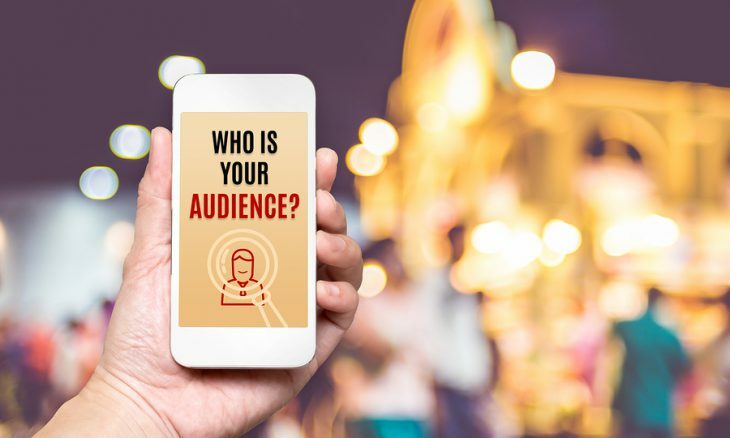 The Holy Grail of digital marketing is personalization: being able to serve the most relevant content to particular users at a particular time to help them progress on their buyer journeys. Most of the guidance on this topic is related to how you do it. To be sure, it is complicated. You have to track their behavior and discover what they are most likely to need before delivering that thing to them dynamically. This involves powerful analytics, tagging, content strategy, data science, and artificial intelligence (AI). Much of my and my colleagues’ writing on this blog site is about these technical challenges. In large enterprises, where thousands of users come to your site daily, the strain of this marketing automation is staggering. To build an end-to-end content management and delivery system that enables this goal at every stage in the production process requires hundreds of big data and AI applications working as one, with a matrix of APIs connecting them, and an army of data scientists, marketing managers, and content specialists somehow communicating in real time to make it work. Add to this the General Data Protection Regulation (GDPR), which strictly regulates how you use, store, secure, and ultimately retire all this data you are gathering, and you might begin to wonder if it’s all worth it. That’s what this article is all about. A lot of executives we talk to put personalization at the top of their priorities without considering all the implications of the decision. Perhaps they understand the benefits of personalization but not the risks, and especially not the costs. I want to explore these three areas in what follows. When I’m done with that, I want to perform a thought experiment on what a world without personalization looks like. The benefits of personalization are somewhat obvious. If you can manage to guide prospects through their particular buyer journeys to an ultimate sale, Marketing becomes a less intrusive sales organization that does not require actual sales people until deals need to be closed. Think Amazon. Marketing executives have long sought this as a way of demonstrating once and for all that their efforts contributed to the bottom line. John Wanamaker is famous for saying, “Half of the money I spend on advertising is wasted; the trouble is I don’t know which half.” The promise of digital marketing has always been to chip away at the marketing waste, which implies using big data to learn where the waste is and systematically eliminating it. The end game of all that is personalization. If you can track your prospects and clients through their particular buyer journeys, you can see where they are dropping off, and you can adjust your tactics accordingly to capture higher yields. For as long as I’ve been in my current job at IBM, we have restlessly pursued this goal. The offline advertising side of the house can continue to have 50 percent waste without really knowing which half of the budget was waste and which half was not. Brand value is difficult to put a price on. It is measured in less data-driven ways by necessity. And that’s okay. Advertising obviously does a good job, so let’s not mess with that too much. The digital side of the house is held to a higher standard. Our budgets are contingent on not only knowing where the waste is, but in systematically reducing it. To get there in any meaningful way, you need personalization tech. Whether you actually deliver on the promise of personalization at the end of the day, you at least know to some degree what is working and what is not, and you can adjust accordingly. That’s the theory, anyway. To the extent that the theory does not meet practice, we have work to do. This is how I would structure a risk management practice around personalization. You can wire up all the tech you want and get it all working without actually delivering on the promise of personalization. Diagnosing why is a powerful way to understand the risks. There are hundreds of risks, some small, some large. Here I will only outline the three largest. Apple CEO Tim Cook recently said, “Ads that follow you online are creepy.” He was referring to a manifestation of personalization. For example, I am a guitar enthusiast. I often search for particular models of guitars, especially by my favorite manufacturer, Martin. When I do, this data gets passed around all over the web and every site I go to displays ads for Martin guitars. I actually like this because ads are like wallpaper to me. You only notice them when they’re ugly. And there are a lot of ugly display ads out there about mortgage and tax scams that I’d rather not see in my peripheral vision as I’m reading online. I’d rather paper my digital walls with pictures of Martin guitars. But most users don’t know this particular hack of personalization tech. And they want their shopping habits to be private. It is kind of creepy for Google and others to share our search histories with affiliate sites that cue into our cookie profiles to display ads about our search histories. I have not seen data on the negative impact of personalization on buying habits, probably because no one wants to commission a study that cuts into their bottom line. But I’m pretty sure creepiness has a negative impact. Creepiness is a negative impact of personalization tech that is working. But personalization doesn’t work very well yet. The tech is about at the stage of the self-driving car industry. Everybody knows it will work eventually. For the moment, it is not sophisticated enough to work all the time. With cars, you simply can’t take those risks. But with ads and content, marketers tend to think, “no harm no foul.” The question is, to what extent is that true? The last time I bought a guitar, I continued to get ads for the very model I just bought, and several other comparable models, for weeks after purchase. Even at Amazon, I continue to get pushed offers for things I no longer need because I already bought them. Again, I don’t know of a study showing how pushing unneeded products on customers negatively affects the confidence users have in merchants who subscribe to these ad services. But I’m pretty sure the affect is negative. Ironically, the root cause of both these negative affects of personalization is the mentality of treating prospects like chattel. The irony is, personalization is sold to marketing execs as better serving the individual. But the very notion of thinking that you want to increase the yield of marketing efforts has the ring of industrial farming to it. Prospects are humans. They should be treated humanely. To the extent that personalization encourages marketers to treat them less humanely, it defeats the purpose. Despite the dearth of research into the negative affects of personalization, the EU has enacted a law that protects people from malicious data gathering and dissemination. Whether you intend malice or not, if your practices violate GDPR, your efforts will be seen as malicious. And the penalties for being caught handling user data inappropriately are up to 4 percent of a company’s revenue. So a GDPR strategy and execution plan is mandatory. I suspect GDPR is only the beginning. The US Congress has a bill called the Honest Ads Act that has similar protections to GDPR for US customers. It also includes provisions to protect citizens from the kinds of malicious manipulation they faced in the 2016 election at the hands of Cambridge Analytica and Facebook. When you stop to consider the damage poor data security practice has on not only Facebook’s market cap but geopolitics, the risks of personalization cannot be overstated. Personalization is expensive. When you consider the hundreds of applications needed to gather, manage, store, and secure personal data on every potential customer who’s ever interacted with content or ads on your site, your social channels, and your ad networks, it’s staggering. And it’s not just the data. It’s the content. You can have all the data analytics you need to understand what content to deliver to each user. But you still need to build, publish, and maintain the content. That takes a small army of content strategists, editors and writers, to say nothing of video producers, page developers, UX specialists, information architects, and visual designers. It’s relatively easy to do this for product marketing, where you are merely building all the content about your products users might need, and serving it in relevant places in their customer journeys. But content marketing is about serving that content to them about product categories, and the challenges or opportunities those categories of products purport to solve or to capitalize on. At IBM, we say 80 percent of the buyer journey happens prior to a product name being included in the content. How do you personalize the top of the funnel with content that satisfies the needs of individuals? How do you govern this content across an enterprise of marketers all vying for the limited time and attention of the same individuals? It is a challenge I have devoted the last 10 years of my career trying to solve. I can tell you the costs are astronomical. Just the data infrastructure and AI needed to do this often leads to executive sticker shock. I am running a small pilot with an AI company that does this at scale. For 44 content marketers (4 percent of our users), it costs about what our entire taxonomic infrastructure costs. I wouldn’t run this pilot if I didn’t think there is ROI at the end of the rainbow. But that ROI depends on content people delivering on the value of the up-front intelligence. My passion will be spent in making sure they create compelling content that delivers on the promise of intelligent content. The alternative to personalization is what most of us have been doing for a long time. It goes by many names, but perhaps the closest phrase that describes the practice is Search Engine Marketing (SEM). In SEM, we mine the search queries of our target audiences and build content strategies that purport to serve the needs of those audiences. Rather than trying to sort out what individual users need on their personal journey stages, we build experiences that serve multiple purposes for multiple audiences, and help our users search and navigate through the experiences to find what they need. This is the approach Mike and I recommend in our book. It still uses search queries as the basis of content intelligence. It’s goal is still to provide the most relevant content to the user. But it does it in a way that anonymizes the user by the mere topics she is interested in. And it is a very economical way of serving perhaps 80 percent of user needs without a giant marketing automation infrastructure to support it. To be clear, it still takes a lot of intelligence to understand what needs to be created and by whom. And it does place a certain burden on users to find the most relevant content for their journeys. But by eliminating the part about serving just the right content for each individual user at just the right time saves a lot of money and drastically reduces risk. I don’t think the distinction between SEM and personalization is exclusive. They share many of the same systems and practices in common. But perhaps the best strategy is to do SEM for your whole organization and pilot personalization for parts of it, measuring costs and benefits, and assessing risks as you go. At any rate, personalization should not be priority in and of itself at the top of some strategy chart, at the expense of other less expensive and less risky alternatives. Once again, I hope you’ll join us at the next Biznology webinar on May 1 about graphing your keywords. Editor’s note: This link has been updated to go to the video. IT Conversations podcast on the new edition of SEM Inc.